What’s New with Sands Alive? Enter to WIN! A little while back, I reviewed one of my favourite kids toys on the market; Sands Alive and now it is back with new, AWESOME themed kits and I am here to introduce them to you all! Set Includes:1.5LBS of Sands Alive! Need I say more??? There is a kit for every kid and they are priced perfectly for birthday gifts ($30 for the Sweet Shoppe Bakery Kit, Sealife Adventure Kit and Dinosaur Adventure Kit and $40 for the Neon Frenzy Kit). As I pointed out in my previous post, here are a few things to know about Sands Alive! – It doesn’t dry out! Do you remember when you were a kid and walked into a toy store for the first time and found yourself saying “OH WOW”, it was like heaven on earth! I found the inner 2 year old in me coming out when walking into Scholar’s Choice for the first time this past weekend and saying the exact same thing and out loud at that. 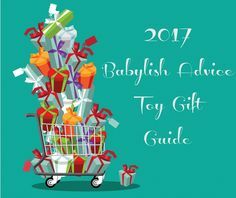 I have a tendency to get slightly overwhelmed when I am in toy stores (my secrets out) as there are so many rows and I really like to sift through everything and find the toys and games that are age appropriate for my son, are fun and educational and lastly that encourage him to try new things and work on the skills he is good at. There are so many reasons why I love Scholar’s Choice! Thanks to our AMAZING friends at Scholar’s Choice, they are giving away a $50 gift card to one of my very lucky readers! Enter below on Rafflecopter, it’s just that easy.